Truffles by origin aren’t a Christmas food, but with their indulgent ingredients, luxurious coatings and bite-sized portions, it’s easy to see why they’ve become associated with festive frivolity and make the perfect edible gift. Plus, they are relatively simple to make and so for those of you wanting to get the kids involved with holiday baking, this is a sticky-finger licking good option! 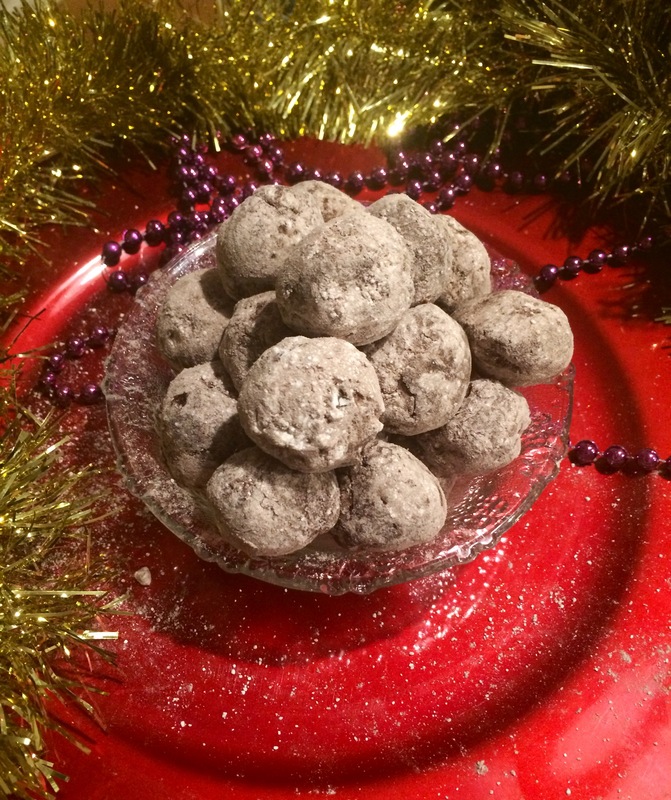 You can take a classic truffle recipe like this one and add any kind of fresh flavouring that will complement chocolate. I suggest mint, raspberry, or orange, which is what I’ve included in my recipe today. Bring a large saucepan of water to the boil on the stove. Break the chocolate into small pieces and place it in a heat resistant bowl, like a stainless steel one for example. Turn the heat down to a minimum and place the bowl of chocolate on top of the sauce pan. Leave it slowly melt over the Bain-Marie. When the chocolate has completely melted, slowly add the diced butter while stirring. Once the butter has melted, take the chocolate of the heat and add the egg yolk, vanilla, caster sugar, icing sugar and the orange zest. Mix it all together and place it in the fridge to solidify. Once solidified, form little balls of chocolate and roll them in a mixture of icing sugar and cacao powder. I suggest you serve those delicious treat with coffee or tea after your Christmas lunch or as part of you dessert maybe!